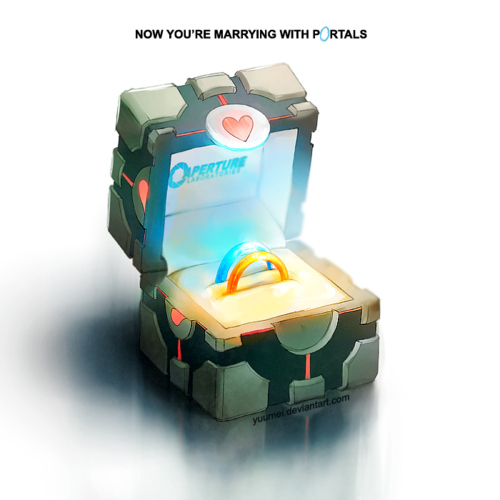 But I hope it doesn't mean the happy couple have to traipse down the aisle each in an orange jumpsuit dragging a portal gun a la Chell in the game. Actually, portal bored me to tears. I'm more of a half life 2 chap. Ah, I'm a Portal and HL chap! and i don't even have a life. Probably for the best, SW.
all things are for the best on the best of all possible blogs.